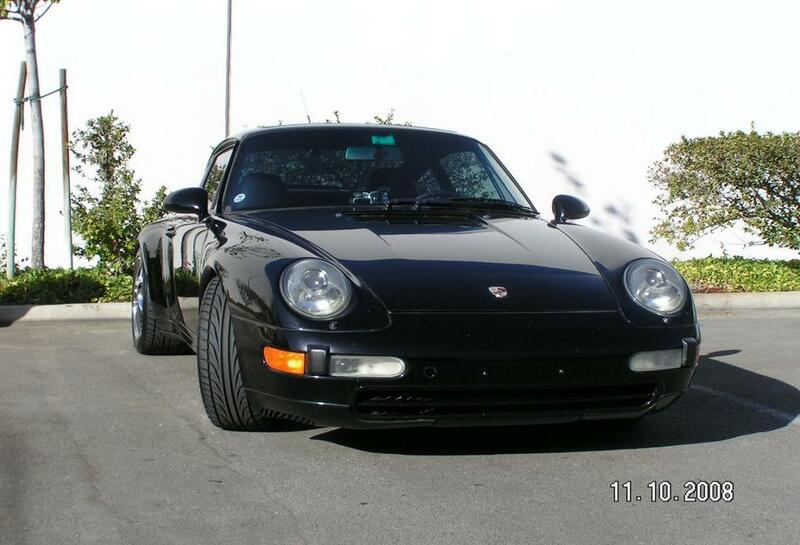 Please post pics of Various Black 993's. 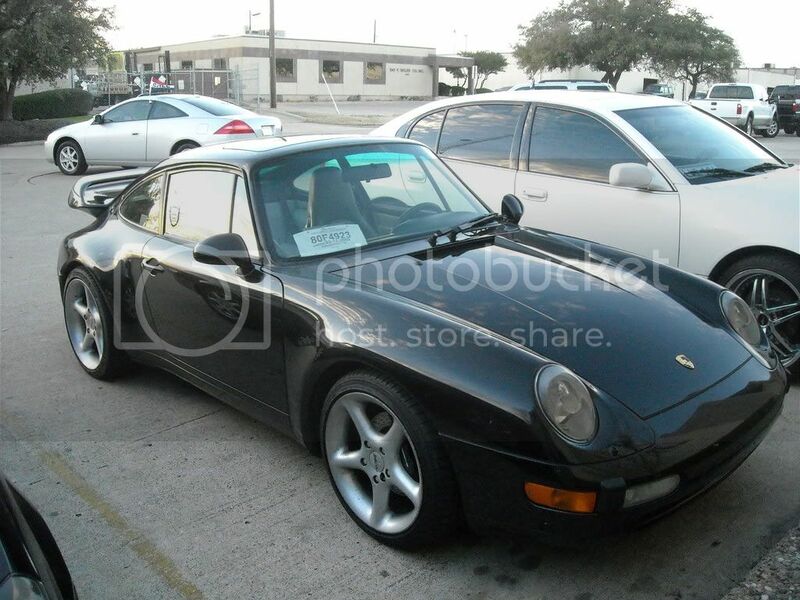 I just want to see what I like on black 993's, Pics from all sides/angles will be appreciated. 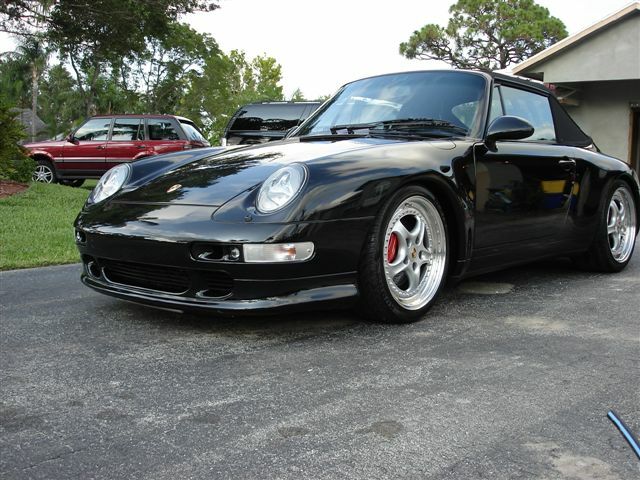 I dont know what directions I want to take my 96' Black 993 so I want to see pics, I have searches and seen a few but I havent had a certin look grow on me yet so I want to see what you have to show. 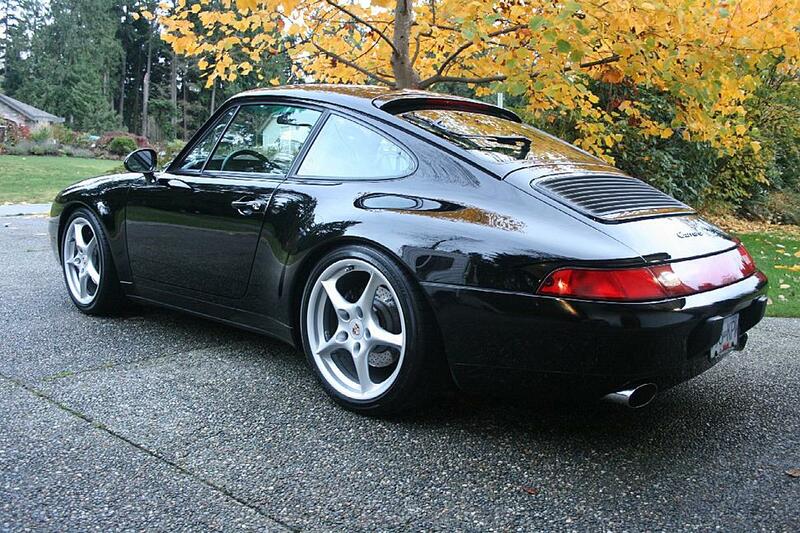 LETS MAKE THIS A OFFICIAL BLACK 993 THREAD!! Oh alright, I'll play. First pic with MY02s. 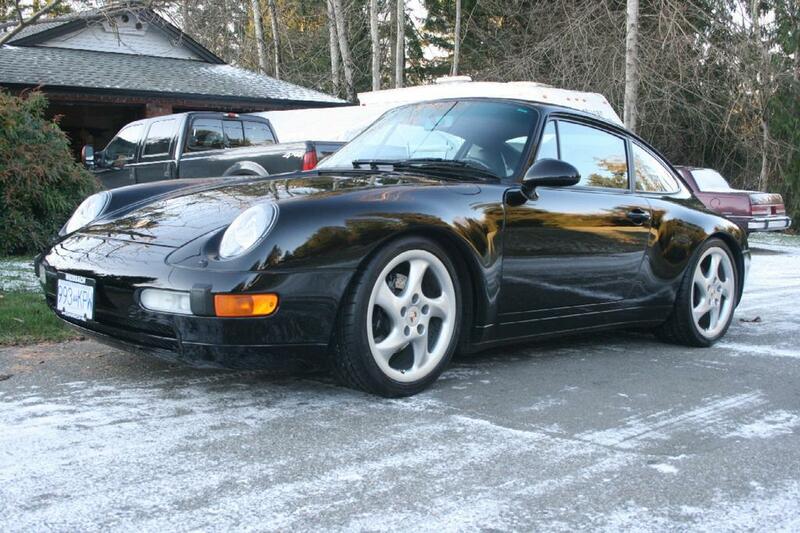 Second with the OE "Technology" wheels (408). 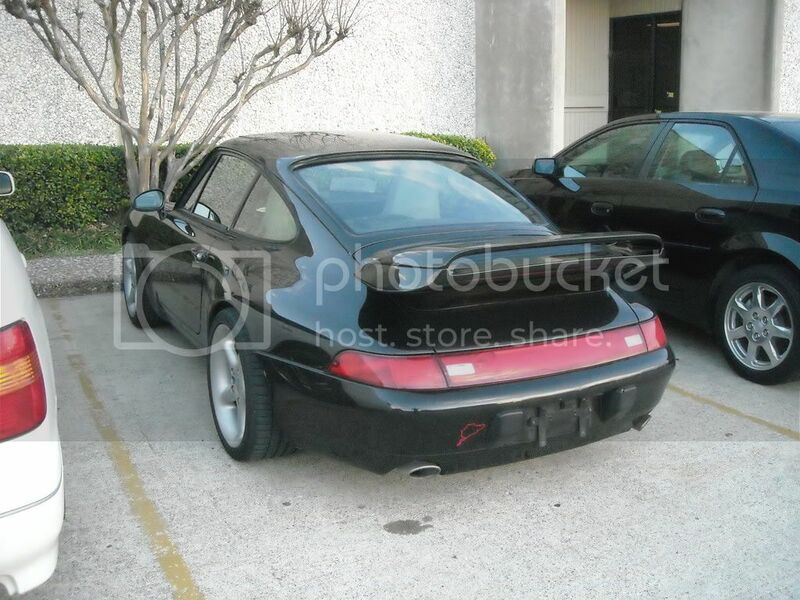 I just really want to powder my calipers Yellow so im woundering how that would look. 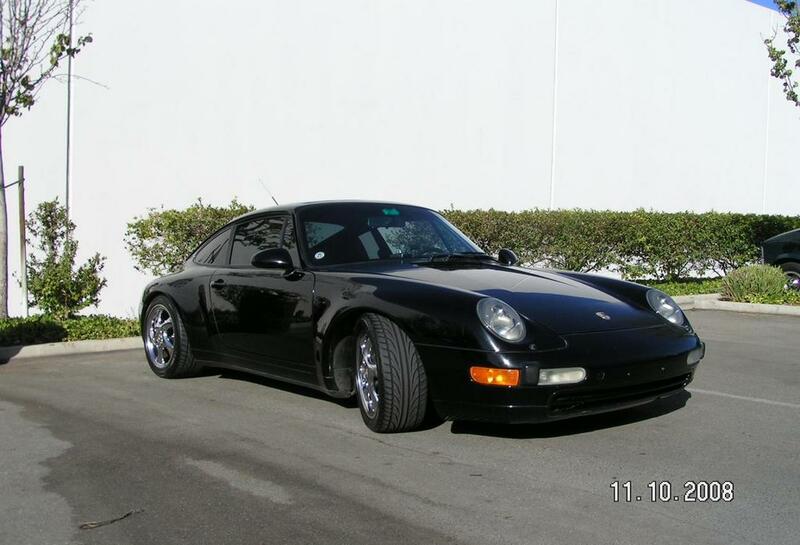 This might be a dumb question but im new to 993's because I spent my time researching 964's cause thats what I was looking to get into but ended up in a 993............ NOT THAT IM MAD OR ANYTHING!!! What are PSS9?? alot of people have that. 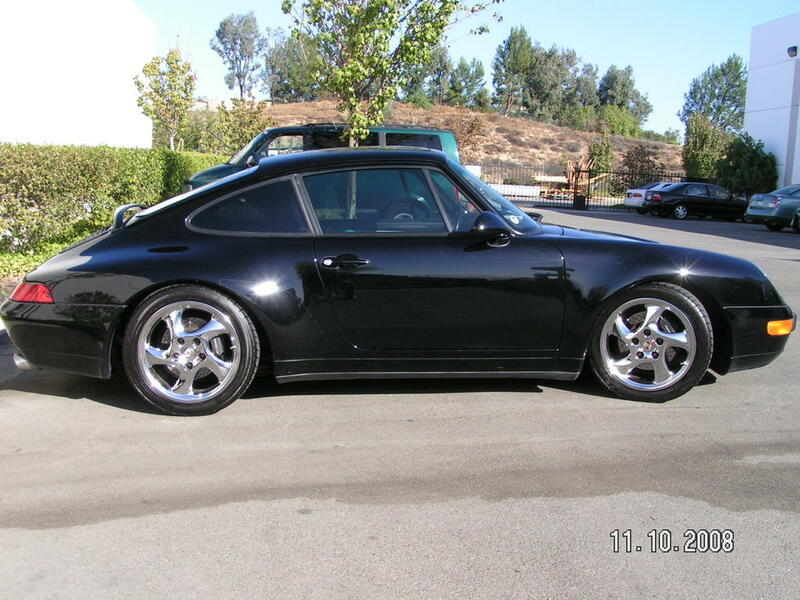 in answer to your question - PSS9s are a suspension system by Bilstein. they are adjustable (unlike the HDs) and a popular upgrade to the very poor monroe stock system. recently Bilstein updated the system to PSS10s so... the 9s are obsolete. 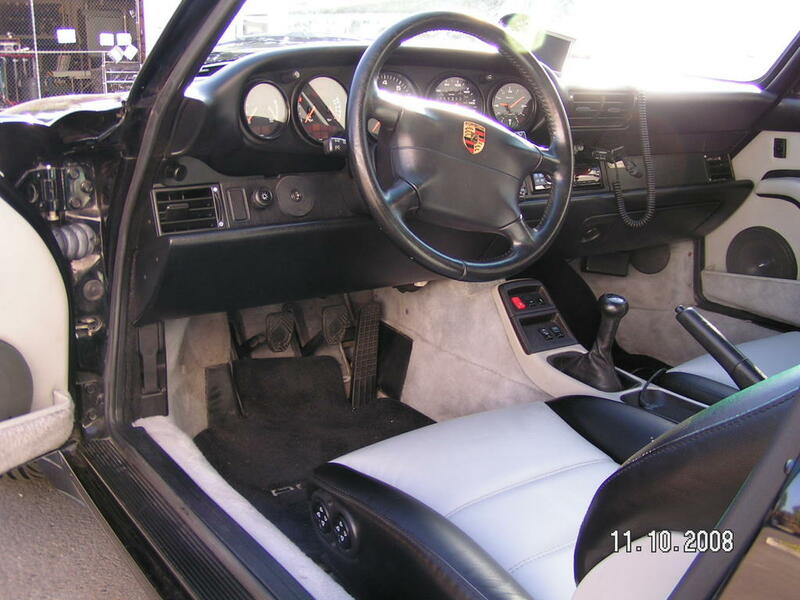 conduct a search and you will find an huge amount of detail about various suspension systems and their installation. It is a major improvement in handling. I really like the way your car is lowered. I like the rate we are going at. MORE!! 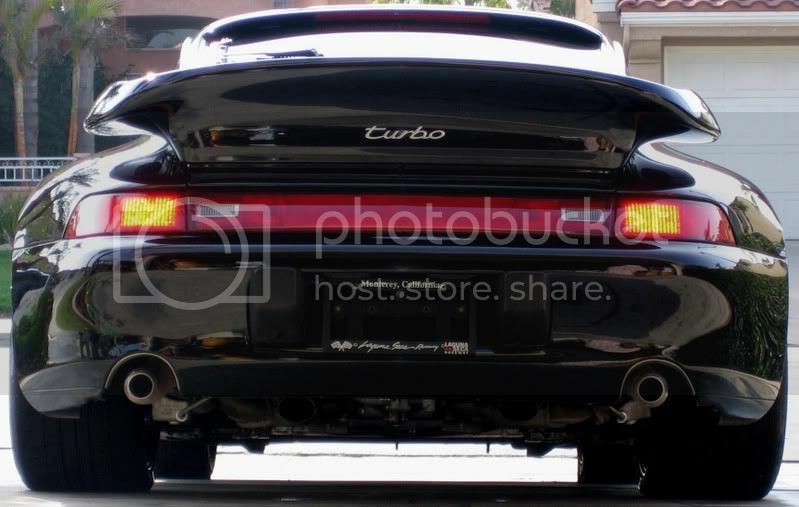 Mr. Walrod, I have serious Turbo envy.